Hi beautiful! Sorry for the lack of posts lately, I just started university this week and it’s been super busy already. Today, I have an easy DIY for you all. 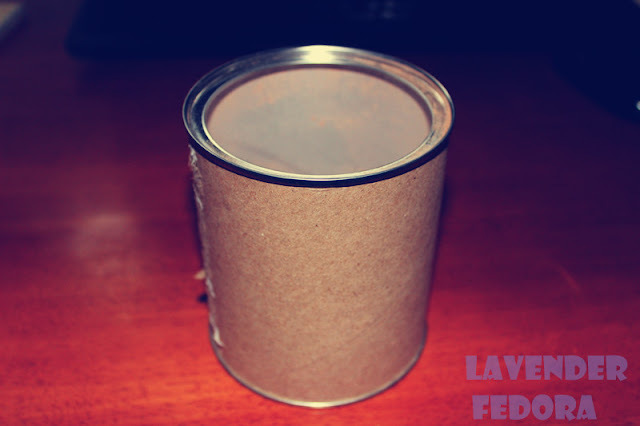 This is a very simple way to glam up those empty coffee tins you have around home. Sometimes, you just don’t want to throw them away because you know they can be useful one day. There’re so many things you can do with empty containers like this one I’m using here. 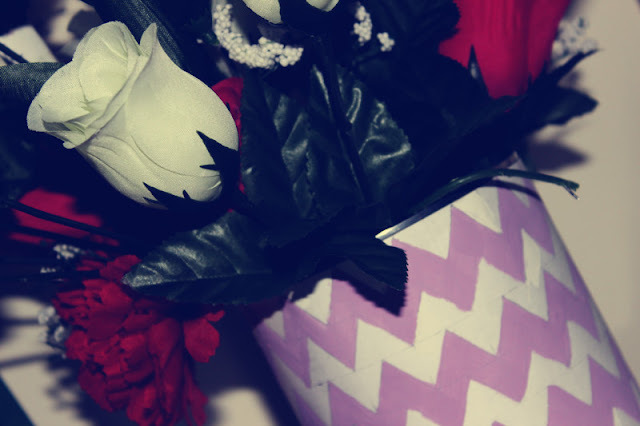 It can be a nice room decor or you can use it to hold your makeup brushes, fake flowers like I’m doing here etc. Without further ado, here’s the DIY tutorial. 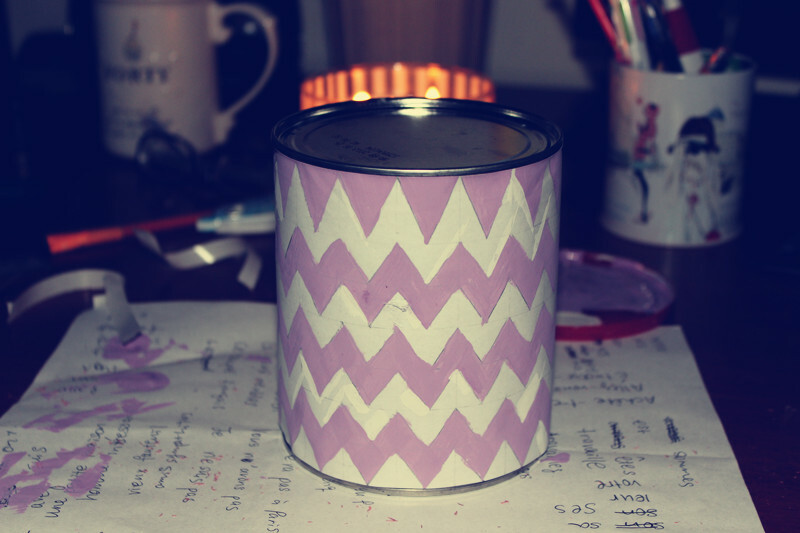 I was originally planning to paint the chevron pattern right on top of the tin; however, I realize how difficult that would be. 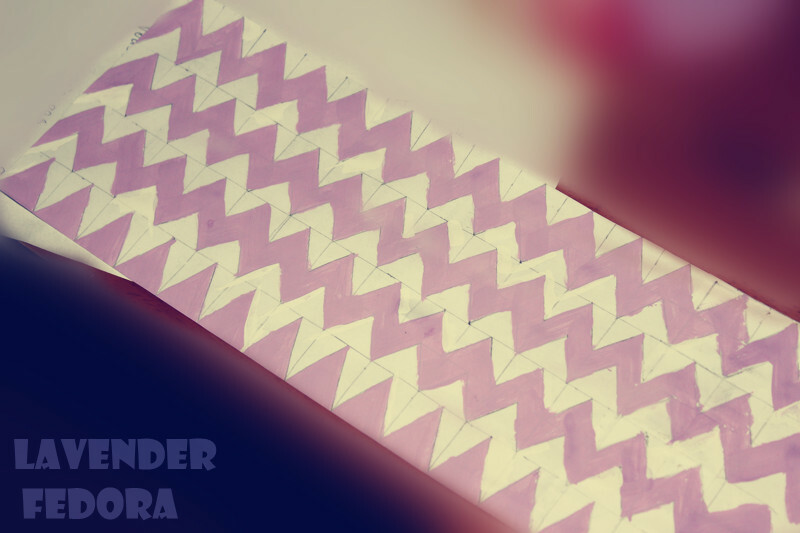 So instead, I drew the pattern on a piece of paper and wrap the paper around the tin. 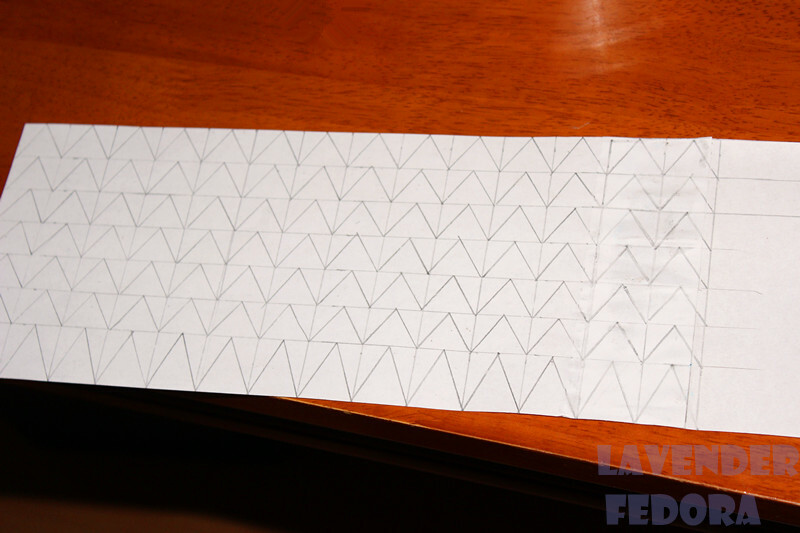 I first measured the height of the container, and I cut off a piece of paper with the same height (or width). I made sure the paper is long enough to wrap around the container, and I started the sketching. This is really self-explanatory so I’m sure you can all do this at home as well. It can be quite time consuming if you want the pattern to be precise, but I had a lot of time on my hand at that time, so I went ahead and made the pattern as neat as I can. 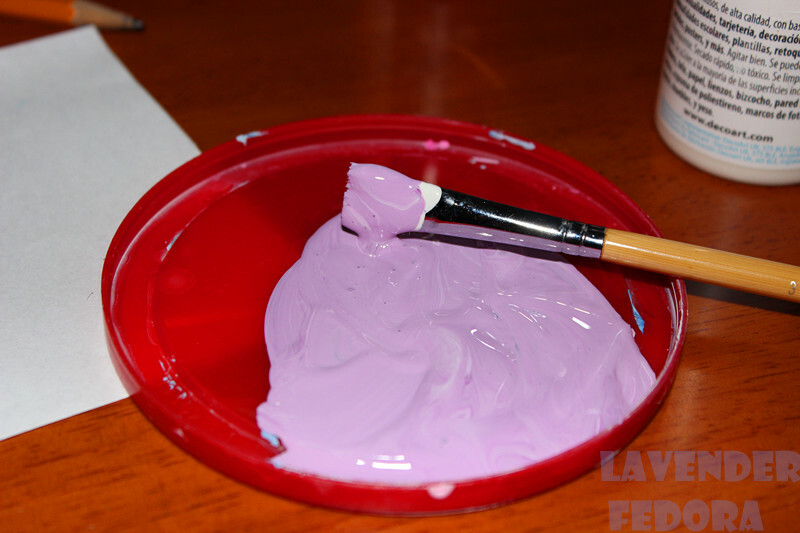 After that, I used acrylic paint which I mixed purple and white to create this pastel color and I glued it onto the container. Voila! That’s the end result. I think it really adds a nice little touch to your home decoration and it’s a great way to upcycle those empty tins you have laying around in your house. 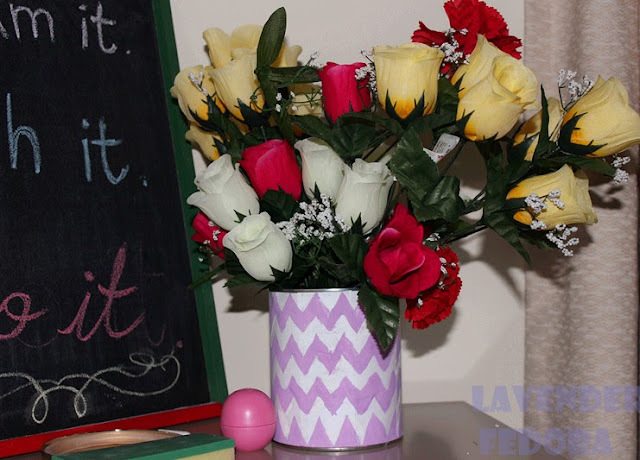 That is such a cute DIY! I love how it turned out and the color is perfect! I have a huge pile of tins like this. Sometimes I upcycle them like this, but I keep way more than I actually use. I'm always convinced it wil come in handy for some project later and that I'll be glad that I saved it, haha.